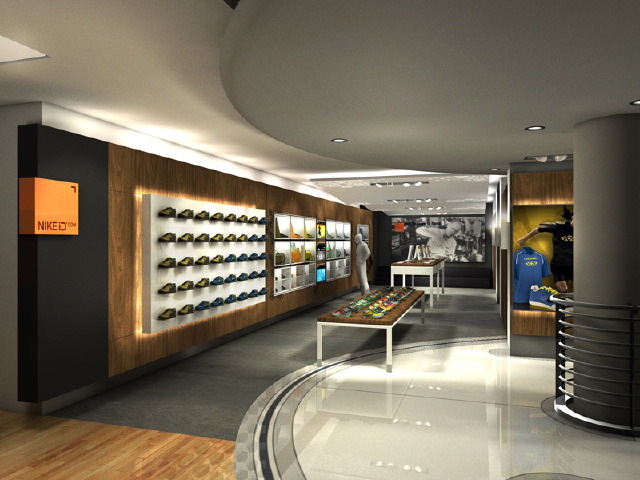 I worked on the Nike ID space within Niketown New York with my friend Luis Rueda a while back. Luis has a background in architecture, and he often sketches out his retail spaces on the fly. His weapon of choice is a large, rolling, mechanical dry-erase board which prints the board’s contents onto a piece of paper. Pretty nifty. This rendering is one of several that were done for the space. All rendered in c4d’s AR. This would have been a great VRay project. This entry was posted	on Thursday, December 11th, 2008 at 4:56 am	and is filed under 3D. You can follow any responses to this entry through the RSS 2.0 feed. You can leave a response, or trackback from your own site.